Eating disorders are notoriously challenging to treat, because they are so multi-faceted: they derive from emotional, psychological, physiological, social, and cultural influences. Rather than just rely on standard treatments that are successful with other mental health conditions, clinicians and researchers are developing innovative treatment programs including group work designed to address the distinctive and complex nature of eating disorders. 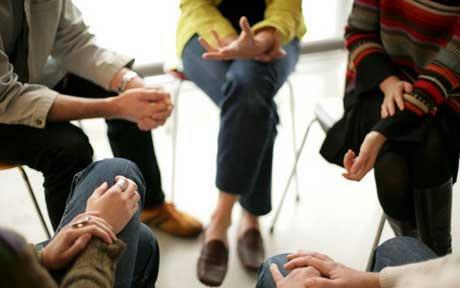 Groups are increasingly recognized as an imperative part of healing from eating disorders. They are co-constructed by participants and leaders, and unfold through sharing, receiving, and responding. Honest and vulnerable interactions between members often lead to the invaluable “me, too!” moments that begin to dissolve the isolation, otherness, and shame that individuals with eating disorders often experience. 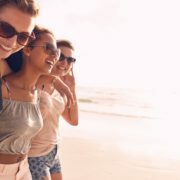 Groups serve as a laboratory in which members can practice connecting with others from their authentic self, rather than the inauthentic identity of the eating disorder. As group members discover and strengthen their authentic self, building up the capacity to communicate in this voice within the safe confines of a group, they can then bring that self into other relationship experiences in their lives. For many, like Joanna, recovery is rooted in relationship—and in the vulnerable stages of early recovery, the relationships that develop in peer groups can be what set and keep you on the path towards your recovered life. If you or someone you know is interesting in exploring group work for eating disorder recovery, contact info@eatingdisorderspecialists.com for information about groups. Two new ones are beginning at EDRS in New York City in April—see below flyers for more information.